Want Cheaper Gdansk Airport Car Hire? Compare lower cost rental rates for SUV, MPV & Minivans in Gdansk. 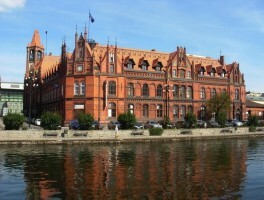 Find cheaper Gdansk car hire here, and compare, book and save today. Vehicles can be rented from Gdansk Airport or in the city. 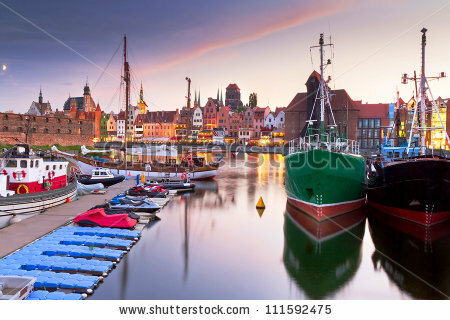 Hertz, Budget, Europcar, Enterprise and Thrifty make up some of the other options you have, as we have ten different companies with discounted prices in Gdansk. Are Sat Nav & Extra Drivers Included? Rentis include a free GPS on some cars. An extra driver is included with Express Cars and Budget. Most suppliers are on airport, but Rentis offer a Meet & Greet service. All cars come with unlimited mileage, excess reduction, free amendments and possibility of free cancellation. The local excess can either be removed with local daily fee, or covered by taking our insurance during, or after, our booking process. If arriving by train, then Panek Cars have a depot within walking distance of the station and other suppliers can help in Wrzeszcz & Podwale Grodzkie. The city itself offers, art, history, beaches, nightlife and more, which is only done on the trams and buses. The Baltic port is very busy with passenger and cargo traffic. The Gdansk Tourism website,link below, provides useful information. The airport currently serves about half a million passengers. It also also known as Lech Walenska Airport, who started the freedom movement and went on to be Prime Minister. More information on the airport is available via link below. If not getting taxi, or got your own set of wheels,then you need get the bus to the train station, to get to the city. Booking a Gdansk SUV, MPV rental is made simpler. Compare cheaper vehicles deals for Gdansk Airport. Budget prices for hiring an estate or minivan in Gdansk. CDW excess cover available for peace of mind.